With both the Ashes and the Cricket World Cup in the UK this year, a number of cricketing legends are out and about this summer. One of the greatest batsmen of all time, Sir Viv Richards is over for much of the summer and is an inspiring and charismatic speaker with a century of stories to wow an audience. His fearless and aggressive style of play made him one of the greats, while his self-contained charm continues to please audiences in the speaking arena. 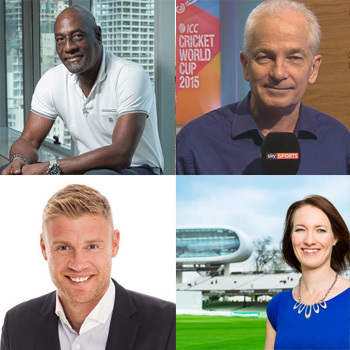 Other cricketing heroes available for events include Phil Tufnell, Andrew ‘Freddie’ Flintoff, Nasser Hussain, and David Gower while pundits abound with the likes of – Henry Blofeld and Alison Mitchell being firm favourites.